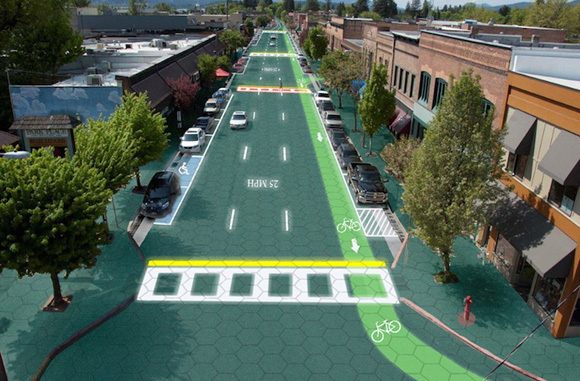 Solar Roadways | personal.amy-wong.com - A Blog by Amy Wong. Solar panels on the road! It’s basically a giant led screen -that charges itself- on the floor for signage (no more painting and paving!) and heating for snow and ice! I wonder how it does with floods and scorching heat, though. Imagine the system going down after a massive rain or overflowing of a nearby river… tropical storm or tsunami. Or the overheating of the floor, ending up in flames or melted shoes (or tires). Did I ever tell you about the time that my sneakers melted when I was doing sandboard? Still… imagine the possibilities if done right.